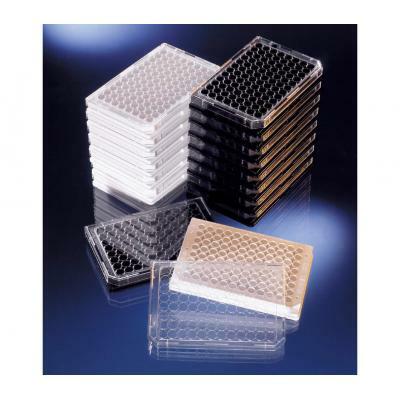 Nunc™ 96-Well Optical Bottom plates have a solid polystyrene black or white upper structure with a polystyrene film on the bottom of the plate. 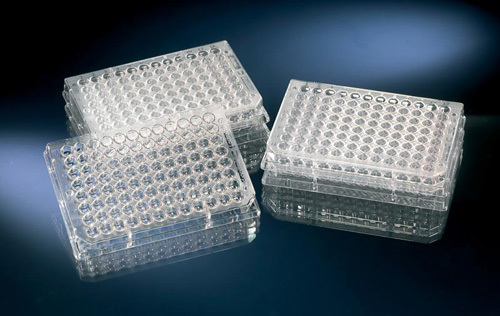 The plates are optimized for fluorescence and luminescence in cell culture and microscopic applications. 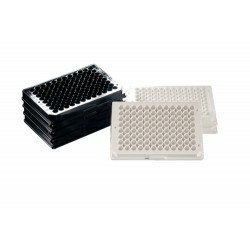 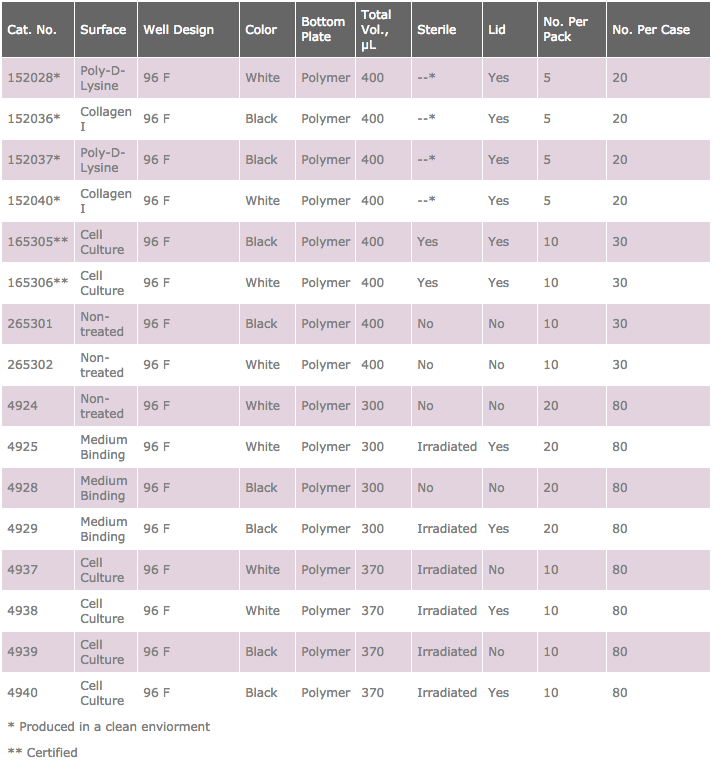 White or black polystyrene upper structure with polymer bottom plates combine the optical clarity of virgin crystalline polystyrene with optimal surface for a wide range of HTS applications.